Here’s the latest on Star Wars Hotel – plus the all the updates on news, weather, refurbishments and closings this week at Walt Disney World. Are you a Star Wars fan? If so, you’ll love this update! The new immersive resort that is planned as an addition to Walt Disney World Resort now has a location! That’s right, it is currently under construction just east of World Drive on the southern side of Disney’s Hollywood Studios. 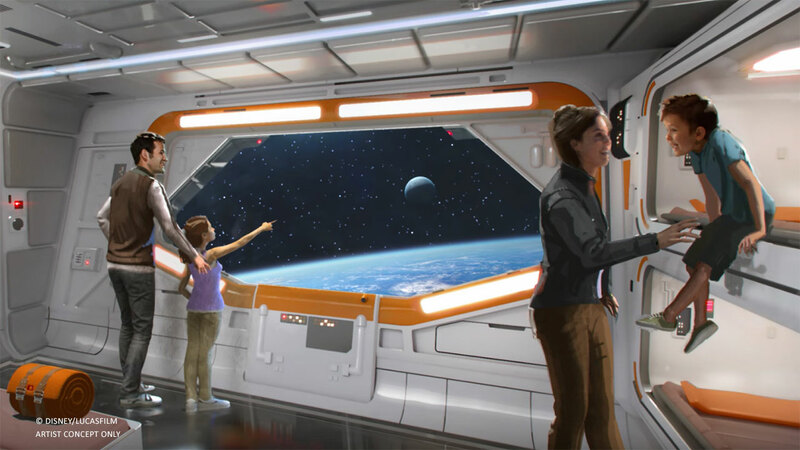 We kind of thought it would be close by since as an immersive experience it would only make sense to be connected to the new Star Wars: Galaxy’s Edge in some way. If you book an experience here, you will board a starship filled with characters and theming that will completely immerse you in an interactive storyline. Each cabin will have a view of space! Although an opening date has not been announced, and reservations are not being accepted yet, we look forward to sharing more information with you as it becomes available. This will no doubt be an amazing experience! Welcome to Black Spire Outpost. Image courtesy of Disney Parks Blog. Speaking of Star Wars: Galaxy’s Edge, the name of the village in the new land at Disney’s Hollywood Studios will be called Black Spire Outpost. 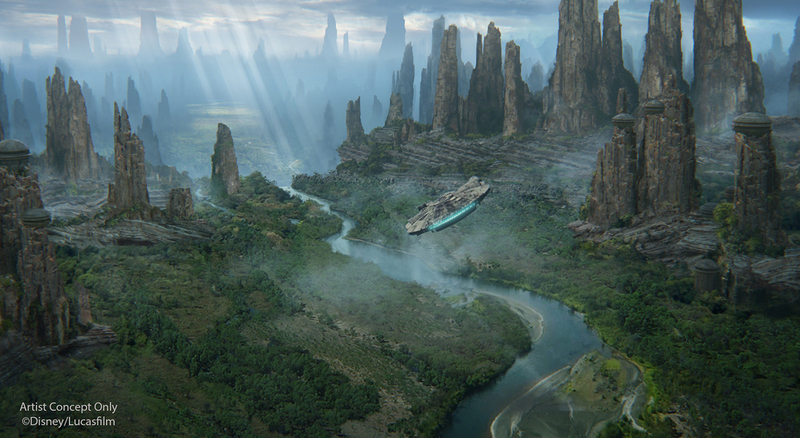 This is the hangout for traders, adventurers, and smugglers as they traverse the Outer Rim. This is going to be an imaginative and lively place to visit. Off to Neverland! In honor of the 65th anniversary of “Peter Pan”, PANDORA has created a seriously fun set of Peter Pan inspired charms. 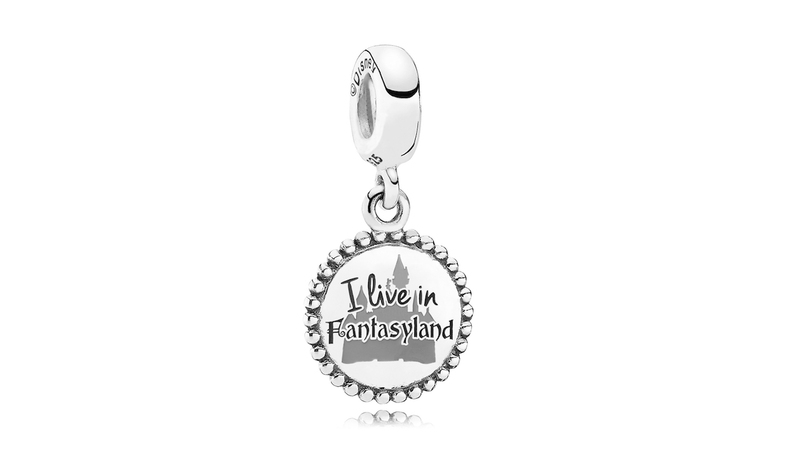 The first is a sweet, pink rose clock face, the second features Peter Pan with a pirate ship, and the third has a picture of a castle silhouette behind the print “I live in Fantasyland.” Look for them at Uptown Jewelers at Magic Kingdom, Mouse Gear at Epcot, and Ever After at Disney Springs. Disney Junior Dance Party! Image courtesy of Disney Parks Blog. Do your kiddos love to dance? 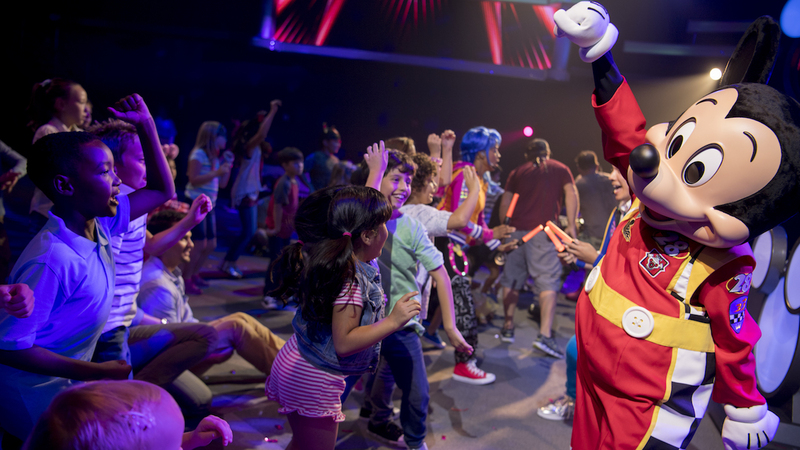 This fall, Disney’s Hollywood Studios will debut the all-new “Disney Junior Dance Party!” This interactive concert will feature fun music and a bunch of Disney Junior characters. The live show is based around shows such as “Mickey and the Roadster Racers,” “Doc McStuffins,” “The Lion Guard,” and “Vampirina.” We’ll keep you posted on more information as it develops. Minnie Vans roll out is complete. Image courtesy of Disney Parks Blog. 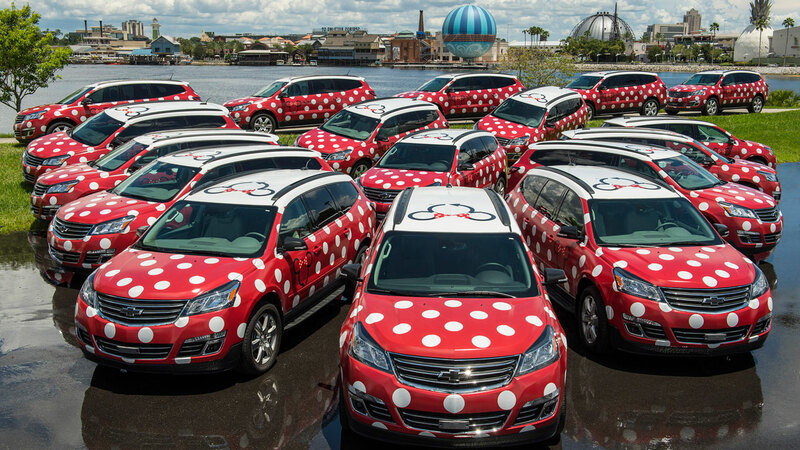 Minnie Van transportation, which was launched last year, is now officially available throughout the Walt Disney World Resort. Originally, it was rolled out in waves, starting at many of the Deluxe resort hotels. Now, using the Lyft app, guests can be magically transported to and from the Disney theme parks, hotels, and even Disney Springs. Each vehicle can accommodate up to 6 guests and it even has 2 built in car seats! Currently the service is available from 6:30 a.m. to 12:30 p.m. and is a great way to get to dining reservations without having to spend a lot of extra time transferring buses. The current price is $25 per trip, per vehicle prices subject to change, of course. Okay, this isn’t a huge, revealing piece of news- but it sure is fun! Recently, the Pixar Ball bounced by Rafiki’s Planet Watch at Disney’s Animal Kingdom, so the animals could help celebrate the grand opening this month of Toy Story Land at Disney’s Hollywood Studios. You won’t be able to resist the cuteness of the barnyard animals as they greet Pixar Ball and chase after it, all in good fun! Walt Disney World Resort has finally created an online tool to help guests who lose personal belongings during a fun stay at the parks. Now you can leave information about your missing item so that Disney Cast Members can try to locate the lost belonging. 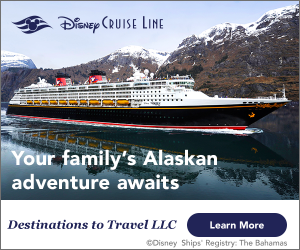 If you’ve lost something at a park, Disney Springs, on transportation, at a water park, or at the ESPN Wide World of Sports Complex, the first step is to go to the website DisneyWorld.com/lostandfound and fill out a report form. When you report the lost item, you will identify the type of item, date of loss, and where it was lost. Then you will fill out your contact information, so they can locate you when they find your item. Of course, if you have lost something throughout the day, make sure you check lost and found located at each park prior to leaving just in case it is there. Photo ops abound at the Tomorrowland Expo. Image courtesy of Disney Parks Blog. 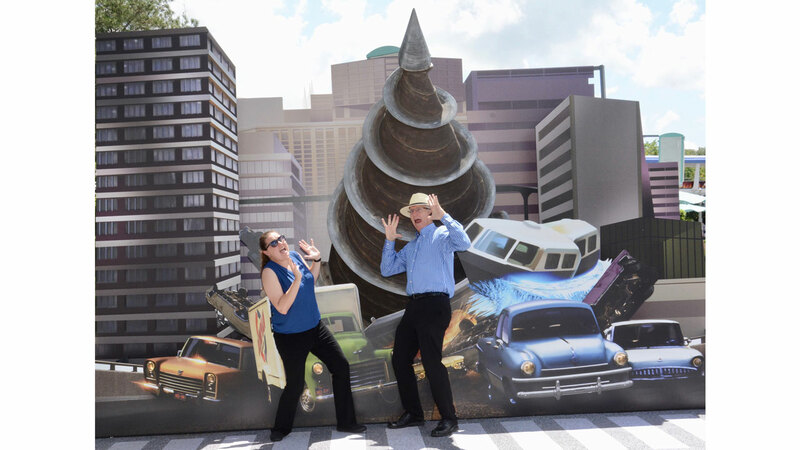 When you head to the Incredible Tomorrowland Expo this summer at Magic Kingdom, don’t miss the incredible photo opportunities! Disney PhotoPass photographers will be on hand to capture some fun action photos showing off your own incredible strength! Toy Story Mania! will be closed June 11–18 in order to prepare for the new queue and entrance. World of Disney in Disney Springs is being reimaged. Parts will be closed in phases, but most will remain open during construction. FriendShip boat service that goes from the Epcot area resorts to Disney’s Hollywood Studios will be closed until June 21 for bridge maintenance. The FriendShip boat that services Epcot from the Epcot area resorts will be suspended until June 7. Disney’s Caribbean Beach Resort will be undergoing refurbishments until sometime in 2018. The renovations will close Old Port Royale Food Court, Shutters at Old Port Royale, Cabana Pool Bar, and Calypso Trading Post. Other food options will be available during this time. Disney’s Old Key West Resort is in the middle of room refurbishments until Spring 2019. Also, the Turtle Pond Pool, Turtle Shack Snack Bar, and Flying Fish Gameroom will be closed until July 31. Disney’s All-Star Movies Resort will be under a room refurbishment until sometime in 2019. Rain, thunder showers, sunny breaks.